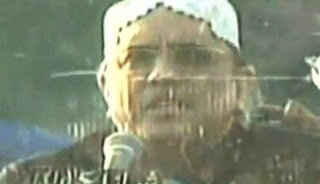 He was speaking to the mourners gathered at the Bhutto mausoleum in Garhi Khuda Bux to observe Benazir Bhutto’s fourth death anniversary. The President also claimed that his government has managed to achieve 80% of their objectives. He further criticized the judiciary and said that he wished the courts were under his control.